The head or face of a panda bear. 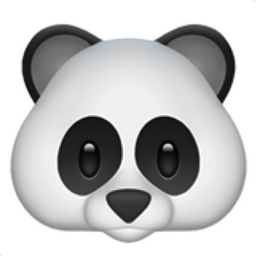 Panda bears are native to China, eat bamboo almost exclusively and are an endangered species. This emoji is cute and often used as a general expression of cuteness, endearment and friendship love.